TORONTO, Oct. 22, 2018 /CNW/ - CIBC -- (TSX: CM) (NYSE: CM) -- Almost half of all Canadians (49%) are planning to travel for vacation in the next 12 months but many find parts of the experience stressful or are left wanting more, according to a CIBC survey. Nearly all respondents (93%) said they would love to get through security and customs more quickly. And most (74%) would like to have access to airport lounges but (54%) think that is unattainable. "For travellers and vacationers, the journey starts well before they board a plane. We've looked at some of the most common needs and challenges, from beginning of the trip to the end and found ways to help clients put their minds at ease and enjoy the experience," says CIBC's Prashant Sharma, Senior Vice-President of Cards. Other factors weighing on Canadians' travel experience according to the survey include the theft or loss of money and credit cards, which they cite among their top concerns. As for the least enjoyable aspects of vacation planning, respondents point to price shopping or making last minute changes in the event of a cancellation or emergency. "Canadians want to get the most out of each trip," says Mr. Sharma. 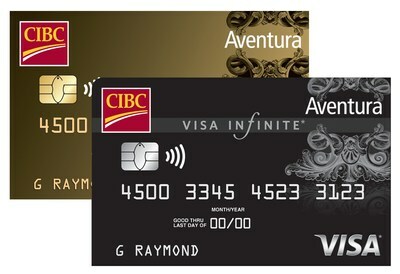 "Aventura's enhanced card benefits are meeting this demand and helping give clients a frictionless, memorable travel experience." On October 3, 2018 an online survey of 1525 randomly selected Canadian adults who are Maru Voice Canada panelists was executed by Maru/Blue. For comparison purposes, a probability sample of this size has an estimated margin of error (which measures sampling variability) of +/- 2.5%, 19 times out of 20. The results have been weighted by education, age, gender and region (and in Quebec, language) to match the population, according to Census data. This is to ensure the sample is representative of the entire adult population of Canada. Discrepancies in or between totals are due to rounding.